Lentils and beans may not sound exciting but this is a really tasty dish that packs a punch! And if you double the recipe like I do it makes a great staple to keep in the freezer for those days when you need a good meal but just don’t feel like cooking. I recommend serving it with a nice green salad and crusty bread but it’s also great as a meal in itself. Adapted from Anne Lindsay’s Speedy Lentil and Bean Casserole recipe in Lighthearted Everyday Cooking. 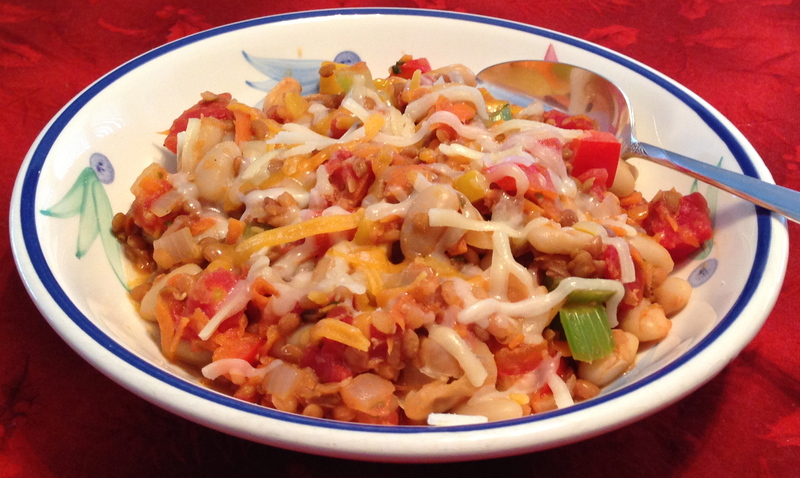 I have added several ingredients including red and yellow bell peppers which are added near the end so they add a nice crispy texture and a splash of fresh flavor and color. 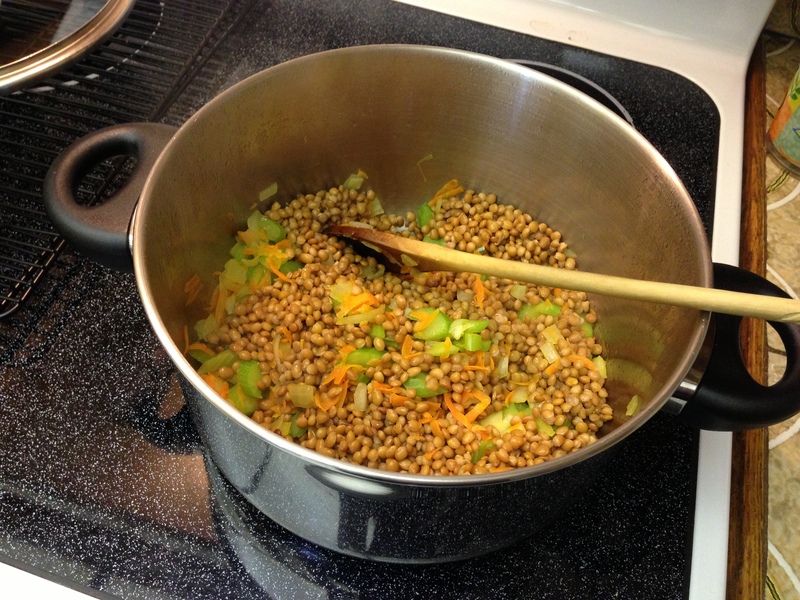 * To make 2 cups of cooked lentils you will need approx.1 cup of dry lentils. Some grocery stores also carry canned lentils although I have yet to find them in a U.S. store. If you’re using dry be sure to rinse them first. I used green lentils. In a large pot cook the onion, celery and carrot in olive oil on medium heat until onions are transparent. 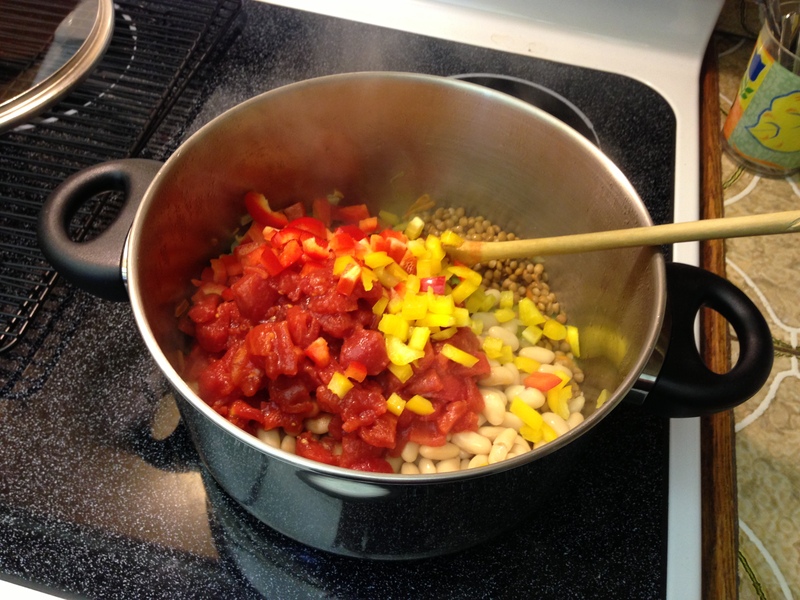 Add beans, lentils, tomatoes, red peppers, yellow peppers, thyme and pepper. Mix together and cook for several minutes until well-heated. Sprinkle with grated cheese if desired. Serve with salad and fresh crusty bread. 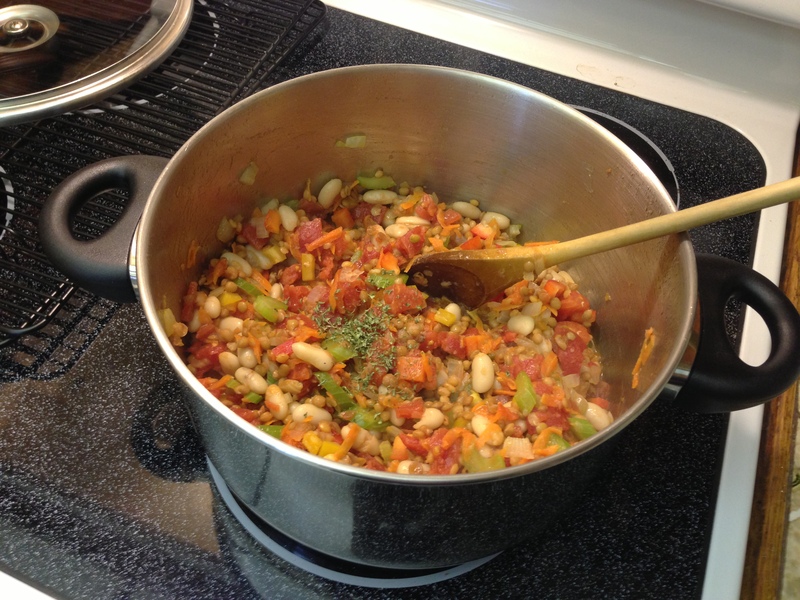 ← Top Ten of 2012 – Favorite Recipes of the Year! I always love a lentil and bean dish. They’re so satisfying and comforting, plus you can do so many different things with their flavors!